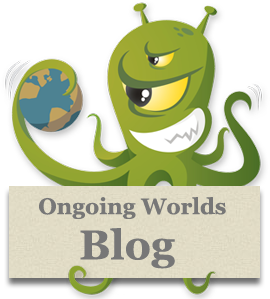 Home > Events	> UFOP: Starbase 118 – 2013 Writing Improvement Month! On top of these professional writers, senior members of UFOP: StarBase 118 will be leading IRC chats open to everyone, in areas such as character development, scene setting, and grammar. Along with all of these amazing elements, they will be hosting a writing challenge from February 1 st to February 23rd. The entries will be reviewed by a panel of judges and the winner will be announced on February 28 th. A calendar of events has been created to make sure not one day is wasted. There are fun events planned, such as the Grammar Test hosted by Captain Kalianna Nicholotti, and the Character Questions Sheet hosted by Captain Diego Herrera. With each week having a specific theme, it is hard not to find something that will help the inner writer in you.